The 13th annual Lewiston GardenFest presented by Lewiston Garden Club will be held from 10 a.m. to 5 p.m. Saturday and Sunday, June 16 and 17 along Center Street in Lewiston. 1. Browse the nearly 80 vendors. Get ideas and merchandise to beautify your own outdoor space from the vendors lining Center Street. They offer flowers, plants, handcrafted art, garden décor and more. 2. Stroll some of Lewiston’s best private gardens. Throughout the weekend, festival goers can visit several private gardens of Lewiston residents, opened exclusively for Lewiston GardenFest’s free garden walk. They vary in size and style. 3. 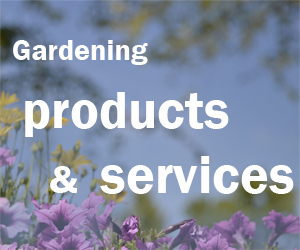 Attend a garden talk or demonstration. Several talks and demonstrations are scheduled. 12:30 p.m. Lewiston Garden Club members will present a hypertufa workshop. 4. Enter the container garden contest. Prepare a special arrangement in a traditional container or think outside the planter. Take your container entry and a stand for display to the hospitality booth in Hennepin Park (located at corner of Center and 4th Streets) by 9 a.m. Saturday. New this year is a children’s division, encouraging future gardeners ages 5-11 to get involved. Get an application here. 5. Cast your vote for the most creative container. Stop by Hennepin Park throughout Lewiston GardenFest to vote for your favorite container garden. Prizes will be awarded to the containers that garner the most votes. 7. See beautiful butterflies. David O’Donnell from Eastern Monarch Butterfly Farm will officially open the Lewiston GardenFest with a butterfly release at 10 a.m. Saturday in Hennepin Park. 8. Enjoy crafty fun with the kids. Throughout the event take the kids to Hennepin Park for a free workshop on making tissue flowers. It’s open for both kids and adults. You make a colorful souvenir to take home. 9. Ask your burning gardening questions. Master Gardeners from Cornell Cooperative Extension and representatives of the hosta, daylily and bonsai societies will be available in Hennepin Park throughout the weekend. 10. Have your soil tested. Take a soil sample from your garden to Hennepin Park and have one of the Master Gardeners provide free soil sample analysis. You can find information on the proper way to take a soil sample for pH testing here. 11. Check out the window displays. As you walk along Center Street, look at the impressive window displays. Each will provide a different interpretation of gardening. 12. Shop and eat local. Lewiston GardenFest is supported by dozens of local businesses. While visiting the festival, stop into some of the unique local shops and enjoy lunch or dinner at one of the village’s many delicious eateries. 13. Support Lewiston’s beautification efforts. 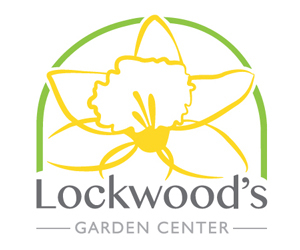 Lewiston GardenFest is Lewiston Garden Club’s largest fundraiser of the year and is free to attend. Money raised at the event goes back into the Lewiston community for plantings, beautification projects, scholarships and service projects. Waterfalls & Butterflies: video of a garden on Ken-Ton Garden TourSee inside Morty!